Trinitas Mhango has a great business idea but she can’t get the cash to start-up. Now she has one last chance to win the backing she needs at Pitch Night. But can she do it? Trinitas Mhango is one of a new generation of young, would-be entrepreneurs in Malawi. She has a dream of making it big in business and she has a great idea - to mass produce and sell sanitary pads in one of the poorest countries in Africa, where millions of girls and women cannot afford proper sanitary management. The market research she has done shows it is a potentially huge market and Malawi desperately needs people like her to succeed and help grow its near bottom of the GDP league economy. There is just one big problem - she has not got the money to set up on her own. Malawi’s banks won’t lend her the cash she needs and even if they would, with interest rates at a staggering 40% she would never make it. But now Trinitas has a great opportunity to get the backing she needs to kick-start her business. She is going into competition at Pitch Night, where the best and brightest young entrepreneurs in the country pitch their ideas hoping to win the hearts, minds and financial support of some of the Malawi’s Business “Dragons” who can back or sack their ideas. It is a huge opportunity, potentially a life-changing evening. But can she do it? What will she say to win the Dragons over? Can she stay cool, calm and collected in front of a large and fiercely critical audience? Or, will it all be too much for young Trinitas? Will her dreams of a life as a successful entrepreneur end at Pitch Night? 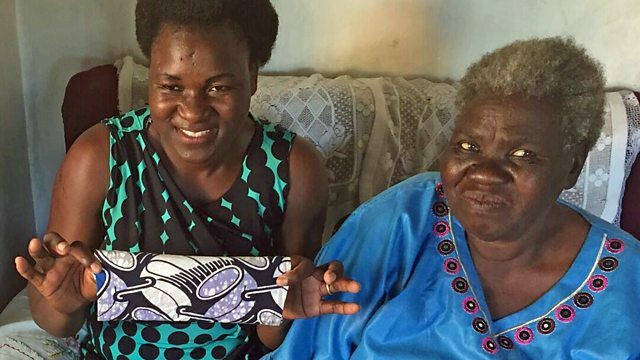 A young Malawian woman has a great business idea but can she get the backing she needs?